We’re in the business of finding deals every month of the year, but it’s not until November that we see the very best offers on almost everything. Thanks to the big three shopping days — Thanksgiving, Black Friday, and Cyber Monday — many of your favorite stores will be slashing prices to all-time lows this month. 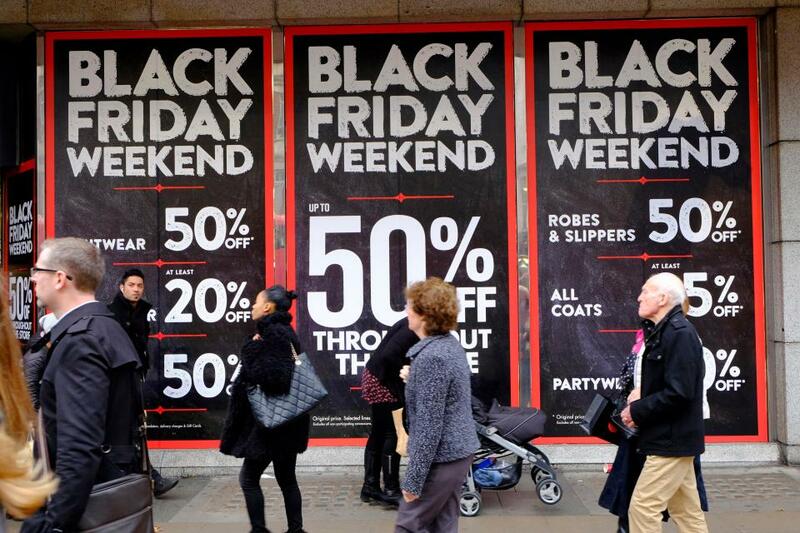 And if last year is anything to go by, you can expect to start shopping pre-Black Friday sales as soon as November 1. Despite the hype, the informed consumer should know that not every sale you see in November will offer truly great deals. We’re here to tell you what you should buy this month, and what you should skip until another time. Whether you’ve been saving for a high-end Roomba, or you have a refrigerator on the fritz, know that November is the very best time of year to shop for home appliances. One-third of all home deals listed last November were in appliances, and one-third of those deals snagged our coveted Editors’ Choice mark. The best vacuum deals will be found at Dyson and Hoover. Big-brand, side-by-side refrigerators will fall to as low as $750, while chest freezers will sell for around $100. November can be a great time to shop for a new-and-improved iPhone, as long as you follow two simple rules: Buy one generation behind, and don’t buy from the Apple Store. You can expect to see the first-ever price drop on the recently released iPhone 8 (we saw the first discount on last year’s iPhone 7 during Black Friday week), but neither it or the iPhone X will see any significant price reductions until December. What you will see, however, is a high number of Editors’ Choice deals on previous generations of iPhones, most notably the iPhone 7. Last November, we listed more Editors’ Choice iPhone deals than in any other month of the year, with a massive 62% of those on the iPhone 6, so we’re expecting to see a similarly impressive haul of offers on the 7 come this Black Friday season. Expect to see the most Editors’ Choice iPhone deals on the previous-generation iPhone 7. It’s likely that Verizon will offer the phone for as low as $1 with a 2-year contract, like it did with the iPhone 6s last year. Those who don’t mind shopping refurbished to cut down on the costs of an unlocked model should shop eBay, where prices have already fallen to as low as $450. You can expect that price to drop even lower come Black Friday, while the older iPhone SE is likely to sell for as little as $200 on eBay. You can, however, expect to see significant price lows on first- and second-generation Apple Watches, as evidenced last year. A massive 76% of the deals listed in the category were Editors’ Choice lows on the previous generation of Apple Watch, the Series 1. We’ve already seen the Series 2 — which has seemingly been discontinued — fall to as low as $229, and that price could tumble further during the coming weeks. Those on a budget should shop the Series 1, which is likely to drop to around $189, or could even go as low as $89. It may come as no surprise that we list more clothing deals come November than any other type of offer, as department stores and designer outlets host their best sales of the year. And although we actually saw more clothing offers in January, those listed in November of last year were of substantially better quality. Expect the very best deals to come on Cyber Monday, when stores like Levi’s, Crocs, and Nordstrom Rack offer up their best discounts of the year, coupled with no-minimum free shipping. 6pm will likely offer its best coupon deal of the year again, too — around 15% off — where you can save big on already-discounted items from Nike, The North Face, and Columbia. We’ve been telling our readers to hold off on that big TV purchase for months, but thankfully the time to buy will soon be upon us. About half of all TV deals from last November were at Editors’ Choice prices. You can expect to see the most impressive deals at Dell, although keep in mind that these deals are at net all-time low prices because of very hefty gift card freebies. If you don’t use the gift card, then you’re missing out on the value for those deals. Best Buy will alternatively host the best outright prices on a wide selection of big- and small-brand units. We expect to see the bulk of the best offers on 4K sets. Last year, a massive 67% of all Editors’ Choice TV offers were on these high-resolution models. You can expect doorbuster deals on 40″ 4K units to sell for just $170, while 50″ units will hit the shelves for just $40 more. Around two-thirds of all top TV offers will be on 4K models, with 40″ units falling to as low as $170. Also notable from our research is that curved TVs will be a great buy this Black Friday. Although they won’t make up the bulk of deals listed in the category, you can expect to see around three times the number of curved TV deals listed this November when compared to any other month. Plus, more than 50% of them will be marked as Editors’ Choice. November is the best time of year to buy most things tech, and a budget-friendly laptop is no exception. You can expect to see mainstream laptops with previous-generation Skylake Core i5 CPUs fall below the $300 mark. Gamers who want a build with dedicated graphics can expect to pay around $400 for a basic unit, while those looking for a faster i7 CPU will shell out at least $600. Bargain hunters in the market for a basic build should shop Dell’s doorbuster sale, where cheap and cheerful units with Intel Celeron processors and 2GB of RAM will sell from just $100 (although stock will be limited). Those willing to pay a little extra will land a Lenovo or HP build with similarly basic specs, but double the RAM for just $40 more on eBay. Like most electronics do, video game consoles drop in price come November. Big competition from Walmart and Target will push the cost of popular bundles down to budget-friendly prices. In fact, we saw nearly twice the number of console deals in November than in any other month, with nearly 50% of them reaching Editors’ Choice lows. Last year, we saw twice as many Editors’ Choice deals on Xbox bundles compared to its Sony counterpart, and we’re expecting to see a similar outcome this year, thanks to the release of the Xbox One X. Microsoft’s latest machine will hit the shelves on November 7, so it’s unlikely that we’ll see any significant savings on that model, but you can expect to see major price drops on the previous-gen Xbox One as a result. We’re expecting to see doorbuster offers for the Xbox One S 500GB bundles fall to as low as $159, while the 1TB bundles should cost a little more at $179. PlayStation loyalists are likely to see the best deals on the PS4 Slim 500GB model, which will hopefully fall to as low as $169. Meanwhile, the non-Slim unit might not budge from last year’s $209 price tag. From cookware to small appliances, all kitchen necessities see big discounts in November. In 2016, we listed an impressive 132 Editors’ Choice price lows on these items. Kohl’s will be the prime spot for top deals on small appliances, including slow cookers, coffee makers, and blenders — all of which fell to just $2 after mail-in rebates last year. You can expect to shop Pyrex kitchenware at Target for just a couple of bucks apiece, while 13- to 14-piece cookware sets will be half off at Kmart and Macy’s.